Berlin is really worth a visit. And within Berlin itself, it´s good to be flexible and mobile. 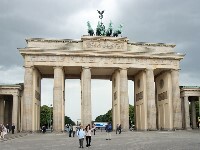 Here, there´s not only sights like the Brandenburg Gate, the Reichstag (German Parliament), the Museum Island, Charlottenburg Palace and Sanssouci Palace and Gardens to admire. Germany´s capital, with its numerous parks, beach bars, beer gardens and open air events has many charms to discover, whether you´re a tourist or a business person. 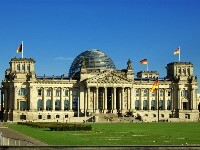 With our Limousine/ Sedan Service you can explore Berlin comfortably, independently and exclusively. In the spruce and private ambience of a limousine, a friendly driver who knows his way about will take you safely to your desired destination. And for our foreign visitors, we can, on request, provide a chauffeur with foreign language skills. Even if you are visiting in your own car, you can still benefit from the advantages of our services. You don´t need to concentrate on driving through the traffic in a city you don´t know. While you relax and enjoy the impressions this city has to offer, our Limousine Service Berlin will guide you to the Spandau Citadel Music Festival, to the Classic Open Air Festival at the historical Gendarmenmarkt, to Potsdamer Platz or to Sandkunst near the Central Station on the Spree. Take in some of the famous Berlin air. Your chauffeur also knows where the numerous beach bars along the Spree are. Let us surprise you with many insider tips, which the normal package tourist never gets to see. Many of Berlin´s boat companies offer delightful boat trips. The Spree-Shuttle-Solarschiff is a little sensation. Your Sedan / Limousine Service Berlin will take you safely to the jetty and pick you up again. To relax the Berlin way, you should take a trip to the beach at Lake Wannsee. And to take an original bird´s eye view of Berlin, we will chauffeur you to Sun-Ballooning Airport. A further highlight is a trip in a hydroplane, landing on the Spree. Animal lovers will certainly have fun visiting the Friedrichsfelde Zoo, which is the biggest zoo in Europe. Here there are huge open enclosures with rare species of animals. In Marzahn Recreation Park on the other hand you get impressions of “unusual gardens of the world”. Here you will find the biggest Chinese garden outside China. Take a trip to Spandau Citadel and visit Berlin´s oldest building. Wherever you wish to go, or however long you wish to stay there, our Limousine & Chauffeur Service Berlin will comply with your wishes.